This contains the tests only for Exploring Creation with Marine Biology, 2nd Edition. Extra test packet for Exploring Creation with Marine Biology, 2nd Edition. Apologia Basic Set - Marine Biology 2nd Ed. Our award-winning marine biology curriculum is now more colorful and exciting than ever! The updated second edition takes your student under the sea to explore the many wonders of marine wildlife and habitats. The softcover solutions-and-tests manual contains tests, test solutions, and answers to the module study guides. This high-quality spiral-bound notebook is a great way to help your student prepare for the transition to college-level science. This CD contains a complete audio recording of the course Exploring Creation with Marine Biology, 2nd Edition as read by Marissa Leinart. Enhance your student’s coursework for Exploring Creation with Marine Biology, 2nd Edition with this outstanding video instructional DVD featuring Apologia author Sherri Seligson. 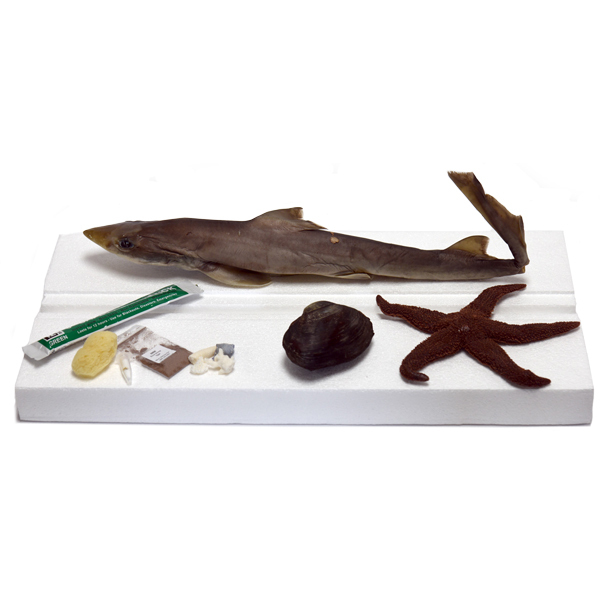 NOTE: This slide set for Marine Biology does not include a microscope or set of dissection tools. All lab equipment ships to U.S. locations only.